Whether you are blogging for fun or creating a website for your business, does cutting your potential audience in half seem like a good idea? Goodness no! That would be like throwing half the pie on the ground. And who doesn’t want every last crumb of buttery crust and sweet filling? More than 60 percent of Internet users do not speak English. Failing to acknowledge this audience means cutting your potential visitors (and potential customers) significantly. While individual web surfers could use their own translation tools – scooping up your discarded pie – most do not want to deal with that hassle. The average website visitor decides if they will stay on your website or leave within the first 10 seconds. That means you have 10 seconds to sell them on why your website is worth their time. If they can’t read your website’s text, how many of those just 10-second visits do you think you will be getting? Probably a lot. Let your website visitors be lazy. 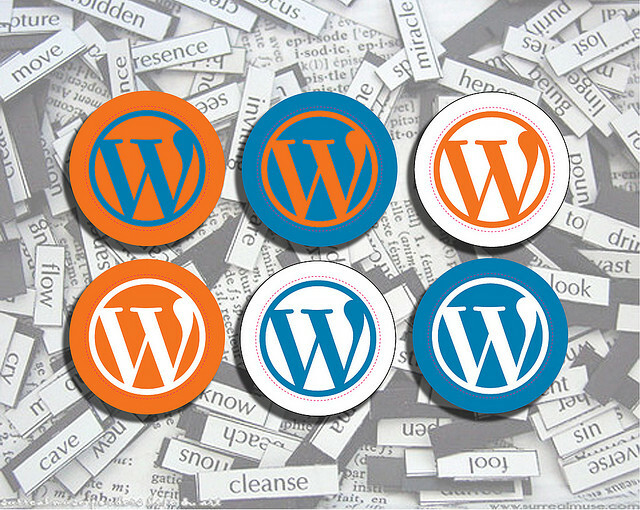 Make your WordPress site friendly to multiple languages with these content translation tips. This Free WordPress plugin automatically translates your WordPress site into 48 different languages including Spanish, Japanese, Korean, Chinese, Hebrew, Dutch, German, Arabic, Finnish, Lithuanian, French, Greek and Italian. Your website visitor will be able to select their desired translation by clicking on a flag representing their language’s origin. This translation plugin uses four different translation search engines (Google Translation Engine, Babel Fish, Prompt and FreeTranslations) to provide a usually very accurate translation. For WordPress users who want to write in more than one language – i.e. insert snippets of a different language into your text – using a plugin that adds a language switcher to your WordPress navigation bar allows you to quickly and easily switch between languages. WordPress Language is a great plugin for this. Why is this important? Because many languages have different characters and you need a platform that can support them. The old saying is: A picture is worth a thousand words. This is especially true when it comes to the Internet. Pictures and diagrams cross language barriers. No one has to tell you that a smiling kid is a happy kid. You don’t need to tell your visitors that a puppy is cute or that your grandmother’s pie is delicious. Just show them a picture. If you are dealing with any technical or legal matters that must be translated correctly, it is important to talk with a professional. A WordPress plugin or Google translate is great, but they aren’t always 100% accurate. If you have a very technical site, if you are needing to translate legal jargon, or if you are in need of medical translation, you have to make sure that everything is translated 100% accurately. If this is that case for your site, you might want to hire a professional website translator to help you out. When the small details are mission critical, make sure you communicate them accurately. Have anything to say? just leave your views on this article by leaving your comments below. The writer of this article, Nicole, is a freelance writer who has been writing about content writing and translating for years.